Happy Friday! I'm still on the wellness/health kick. I think it's something I am adopting for life. I feel much better when I am being healthy and taking care of my well being. 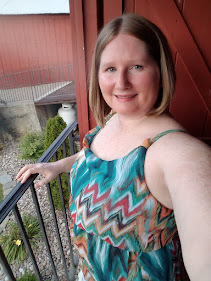 Today I thought it would be fun to tell you about my top 5 wellness things that have really put me on track for a better and healthier life. 1. 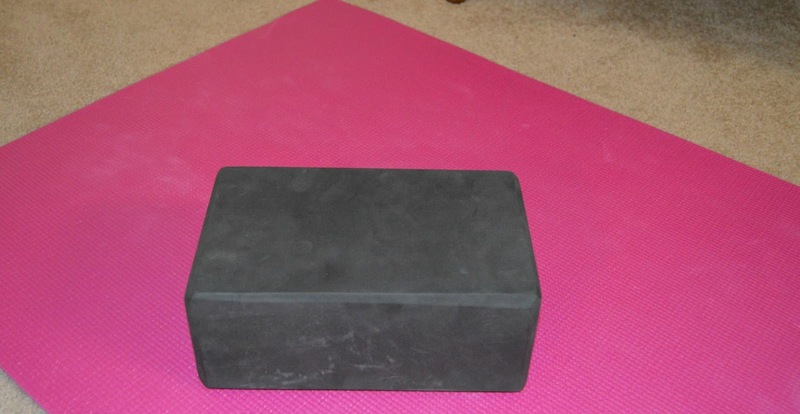 My yoga block! I picked this baby up at T.J.Maxx for $4 a few weeks ago. I have used it for all kinds of yoga poses as well as stretching techniques. It really helps a short girl like me work into some of the poses where I feel my arms or legs are to short to reach. It also doubles nicely as a photographing platform. I have put a few items on it to get a nice picture with a black background. Score! 2. Always loving my Garmin Vivofit. It counts my steps and gives me daily goals. It also monitors my sleep and reminds me when I have been sitting for to long. It works on bluetooth and connects right to my smartphone. I love how it updates everything right there and lets me see goals and participate in challenges with other users. 3. I have been eating a lot of chia seeds lately. They go great in smoothies, oatmeal , salads, or just sprinkling them over anything really. You can also use it to make pudding. 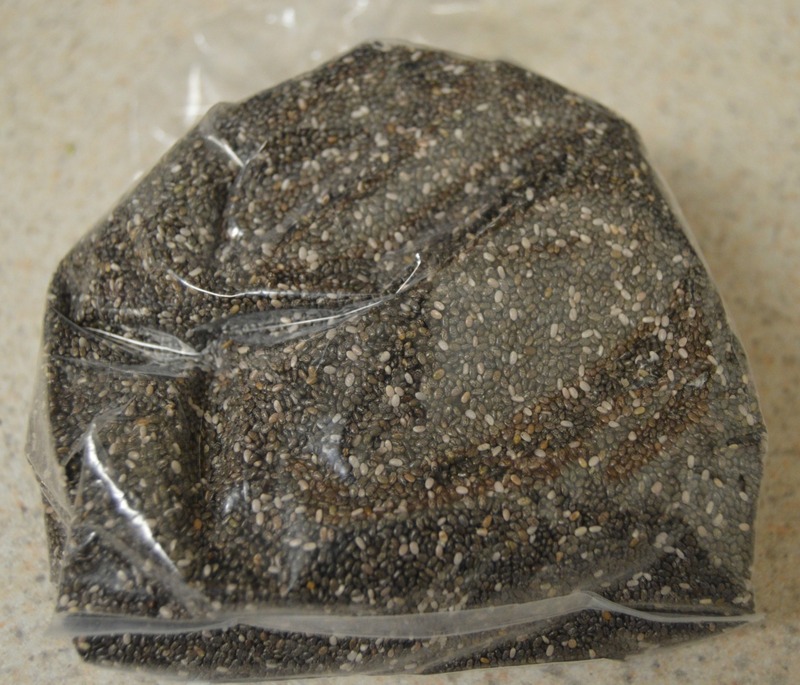 Once submerged into a liquid the chia seeds form a gel like case around them. Sounds weird, but they are super good for you and help you feel full! 4. 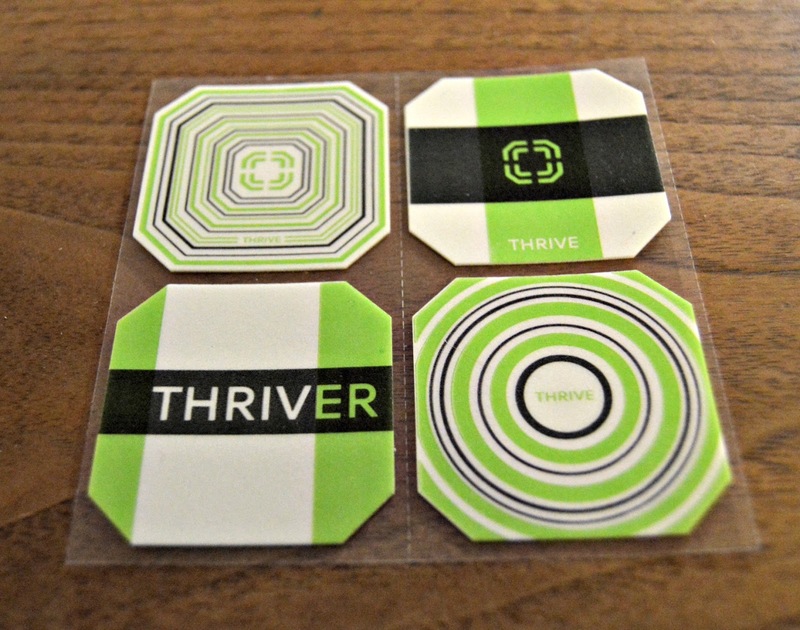 Thrive is always a help when it comes to my health and weight loss. I know I have talked about it before but this stuff really is the real deal. It is not a weight loss diet, it is a daily supplement that replaces all the vitamins we are missing. I have more energy and motivation to get out and do the things I need to do. I am currently doing an experiment on how I feel without Thrive. I can tell you I am tired and cranky. I don't want to do anything extra and my stomach has been upset. My anxiety has been showing more and I just feel like yuck Starting back up on that this week for sure! 5. 10 minute fitness challenges! Every Tuesday and Thursday at work I have the opportunity to participate in a 10 minute challenge at lunch time. It is a great way to get you moving during the work day and to get your heart pumping. This is especially good if you are sitting a majority of the time at work. It has certainly gotten me more motivated to get up and move! 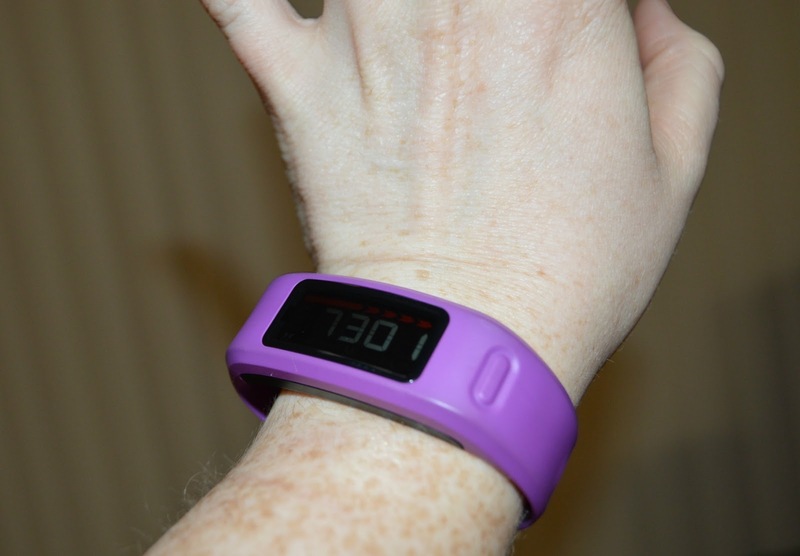 I would love to get something like a Vivofit eventually! Sounds like such a great fitness tool! I have been tossing chia seeds into smoothies lately like they're going out of style...love that they provide such great health benefits! I never take mine off! I love that it is waterproof because I think if I had to take it off for the shower I would forget to put it back on! I LOVE chia! I bought them from a local farm and I'm never going back! The 10 Minute challenge sounds like such a great idea! I found that even if I did a quick 10 minute walk around the building it made the rest of my day so much more productive. Great tips! I hope you have a wonderful, relaxing weekend!! Thanks for linking up at H54F! OK, I'm curious... with all of the fitness bands out there... what made you choose the garmin? It seems everyone has a fitbit or jawbone & I've never heard of the garmin. I'm trying to find a good one at a good price to help me keep track of things because my fitness pal alone is barely cutting it. It's great for tracking my food, but I tend to forget to log exercises. and I'm not sure how accurate the calories are. I only just recently heard about chia seeds. In my taste guru they had a chia squeeze thing that I hated but I think it was the flavor, I learned my sister uses them in smoothies. I really am loving the challenges! Really making that difference in getting motivated for the rest of my day! Thanks for stopping by!